After years of waiting to see an African elephant in the wild, suddenly, I’m wondering: do I want to get this close to one? I’m not scared yet, but when the world’s largest land animal is marching purposefully towards you and all you have is your sun hat to protect you, it can get you thinking. Especially if you’ve just been told that the African elephant could weigh 5,000 kilos and more. I’ve got up-close with plenty of Indian elephants, even helped bathe one, but they were all a friendly sort, with their mahouts at hand. This one is a different animal — literally. The African jumbo is a distinct species and larger than the Asian one. And the big guy heading for us is flapping his enormous ears — ominously, it seems to me. Stefan’s word is law. I calm down. Stefan looks the elephant firmly in the eye. “I know him,” he says, “we’ve met many times.” Some awe-filled minutes later, the elephant turns and lumbers away. It’s the stuff an African safari is made of; it’s all that you dreamt of coming to reality — impalas leaping gracefully across the grass, herds of zebra ignoring you as they graze studiously, rhinos perking up their ears at the sound of human voices, a herd of Cape buffaloes considering whether they should attack you; a lion ambling across a dried-up riverbed, cheetahs crouching, ready to explode into motion, herds of elephants at the waterhole. And the serendipity of it all — you never know what to expect and when. 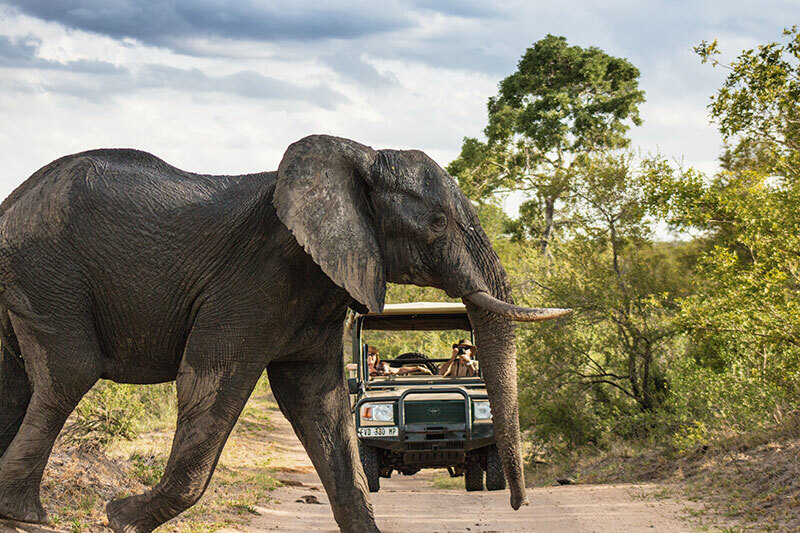 An African safari is truly the experience of a lifetime. And Kruger, some two million hectares of it, has a magnificent diversity of species: 147 mammals, 507 birds, 114 reptiles and 336 trees. Most visitors are fixated on spotting the big five: elephant, lion, leopard, rhino and buffalo. Magnificent as these animals are, that fixation is a shame. 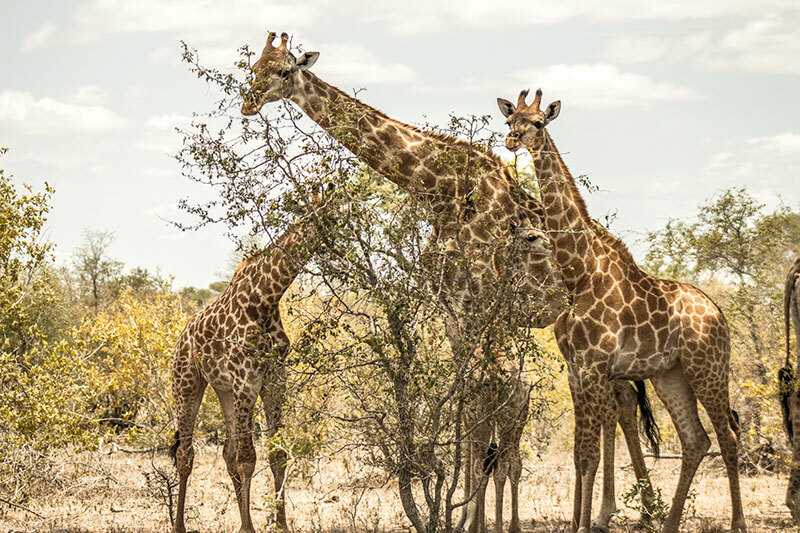 A giraffe strutting across the veld is equally breathtaking, and few sights make a prettier picture than an impala in flight or zebras splashing the green-and-brown landscape with their black-and-white stripes. 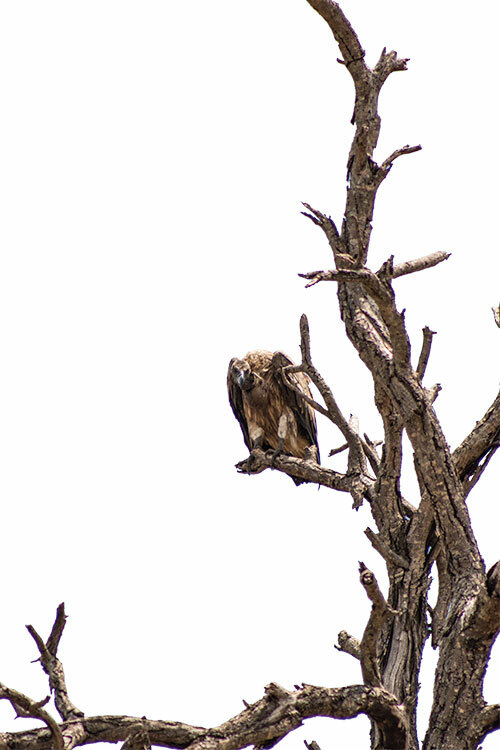 There’s also dazzling birdlife and fascinating trees, including the ancient baobab. For the record, though, we did get to see four of the big five, thanks to Stefan, whose surname is, would you believe, Kruger; he’s a descendant of Paul Kruger, the man who set up the park in 1926. 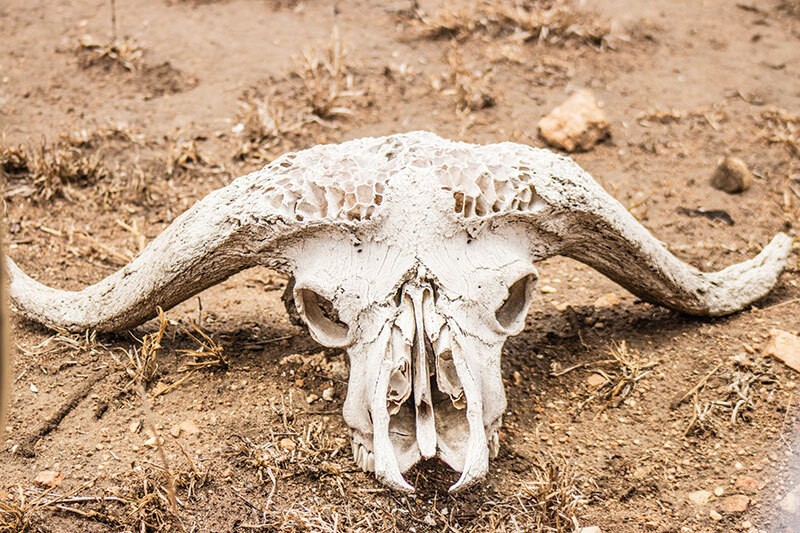 Stefan’s knowledge of the terrain and the animal’s habits made for some hair-raising chases across the veld to catch up with a solo lion and a pair of cheetahs. It also meant that one beautiful evening he decided to stop for an evening drink near a grassy stretch from where we watched a rhino going about its life placidly. That evening will be as memorable as the animals you spot. 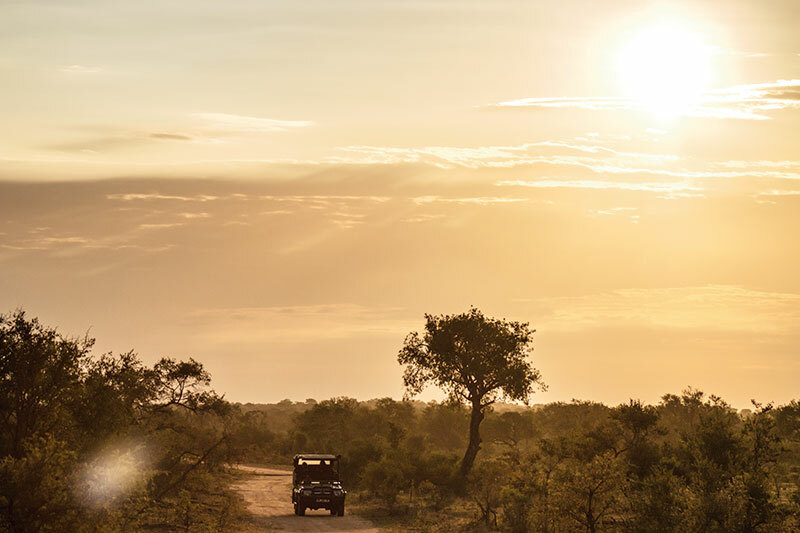 Standing on the veld, the wind in your face, gazing at the glorious expanse of the African landscape, with the sun setting on an eventful day — the moments can be magical. But animal spotting wasn’t restricted to the jeep drives; at the Hoyo Hoyo safari lodge, where we stayed, it can be a non-stop affair. If you’re enthusiastic enough, you can stay up all night or get up at the crack of dawn, make your way to the sit-outs or the infinity pool that face a waterhole across the Mluwati River, grab a coffee or a drink and wait for the animals to walk up. If you’re lucky (as we were) you can see a herd of elephants or impalas, hyenas and wildebeest lingering there. 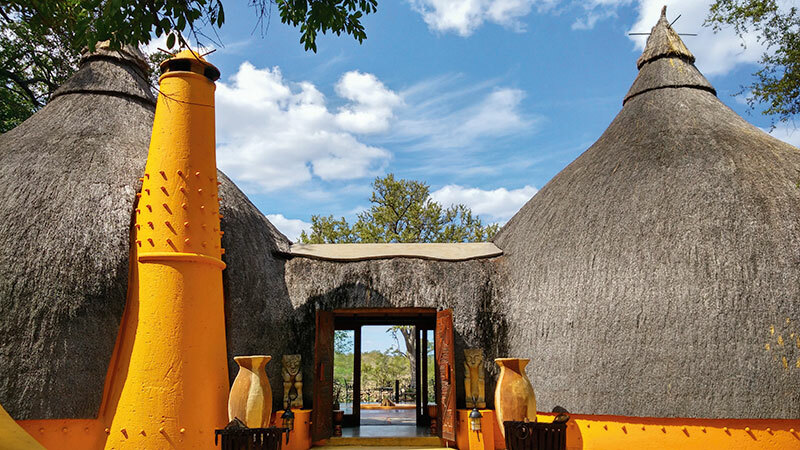 The other great pleasure of Hoyo Hoyo was living in rondavel rooms — traditional Tsonga thatched dwellings fitted with enough luxuries and some surprises, including an outdoor shower. Bathing with a gentle bushbuck peeking in quietly is not an experience you’ll ever forget. Hoyo Hoyo (it means welcome in the local Shangaan language) and its sister lodges, the Imbali Safari Lodge and the colonial-style Hamiltons Tented Camp, are typical of exclusive lodges in the national park, which have their own concession (or privately leased wildlife area) and take in only a few guests (Hoyo Hoyo only has six huts). That makes for an intimate setting and personalised attention not just in the lodge, but out there in your safari and the wide, open spaces. 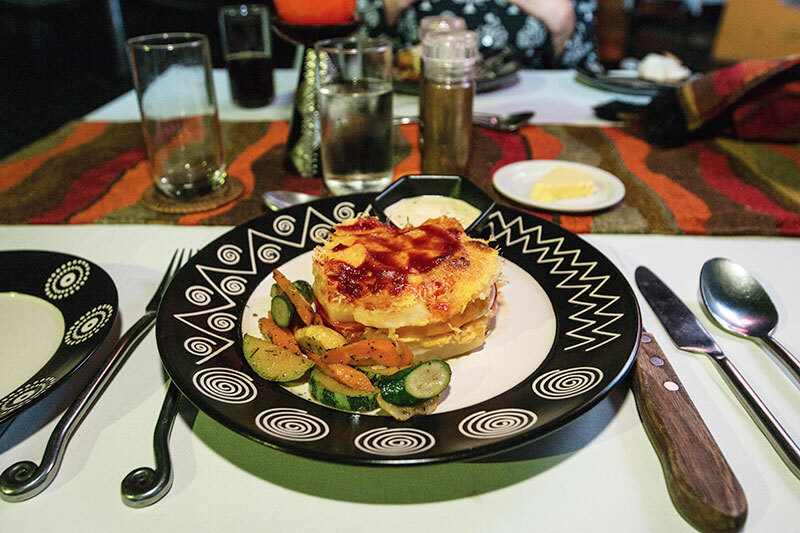 Both add up to the great African experience. Veld or veldt is the term used for the open grasslands of South Africa which are favoured by grazing animals like elephants, rhinos, antelopes, zebra, giraffes, wildebeests and others. 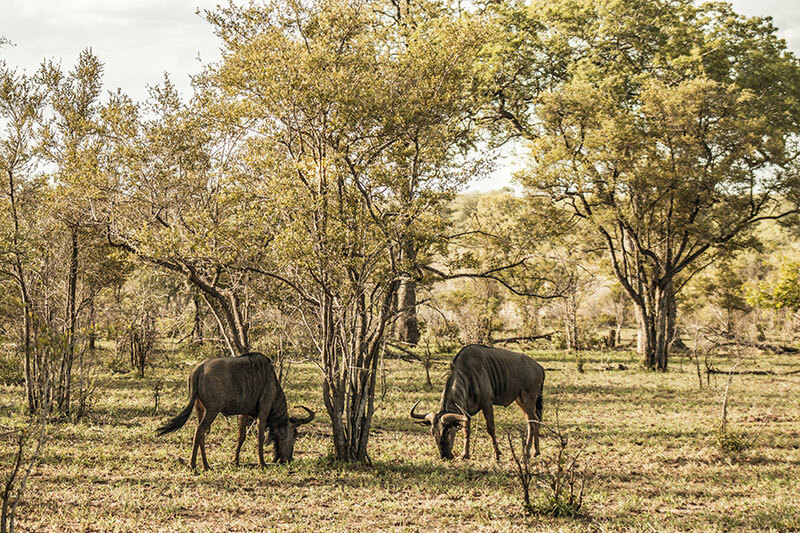 The density of grazing animals naturally draws predators like lions, cheetahs, leopards and hyenas, resulting in a grand diversity of wildlife. In addition, the flat landscape allows for better sightings, making it a spectacular experience.